Small grains and annual ryegrass often form the backbone of seeded winter pastures in the South. They help maintain cattle through the winter months and into the spring until warm-season species initiate new growth the following summer. It’s almost always the case that winter grasses will need supplemental nitrogen fertilizer to optimize productivity. But what might be the problem if you’ve applied nitrogen and the plants still look yellow and/or stunted? “It could be sulfur deficiency,” says Cheryl Mackowiak, a soils specialist with the University of Florida based at the Northern Florida Research & Education Center. 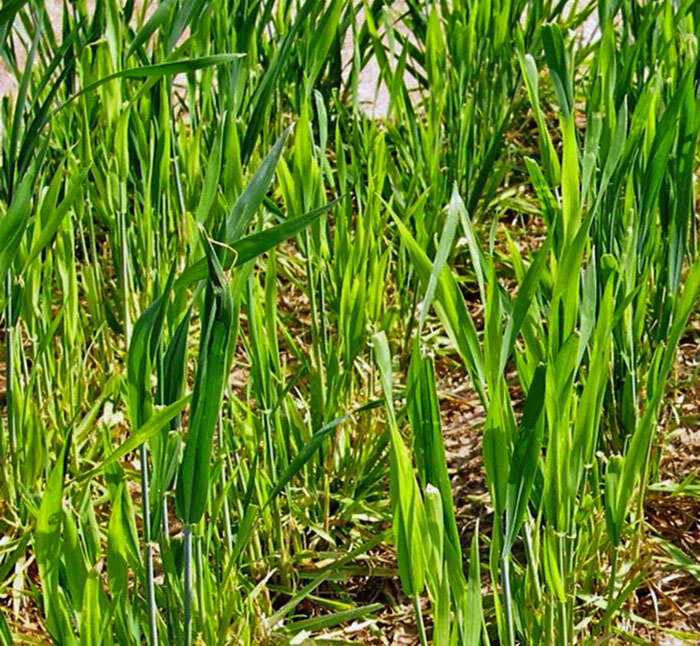 “Sulfur deficiency can easily be mistaken for nitrogen deficiency in grasses. “We typically see more sulfur problems in winter grasses because of where the grasses are planted and the previous land use,” says Mackowiak in a recent edition of the Panhandle Ag e-News. Unless nitrogen or potassium fertilizers are applied as ammonium sulfate or potassium sulfate, sulfur might be limiting plant growth in small or large areas of a field. “The good news is that many grass species respond quickly to sulfur fertilization, and an application rate as low as 10 pounds per acre is often all that is required for recovery,” Mackowiak says. Both nitrogen and sulfur deficiencies are characterized by stunted growth and a yellow, chlorotic color. Mackowiak explains that nitrogen deficiency often appears more uniformly over a larger area, or it may be seen as visual streaks that correspond to a missed or overlapping fertilizer applicator pass. In nitrogen deficient plants, the lower (older) leaves will be light green or yellow. A sulfur deficient field will often be splotchy or mottled in appearance with deficient plants intermixed with healthy ones. Newer leaves will be a lighter green than the older, basal ones. Finally, the soils specialist reminds livestock growers that cool-season legumes such as clovers, vetches, and peas will benefit from 20 pounds per acre of applied sulfur where soil deficiencies exist.